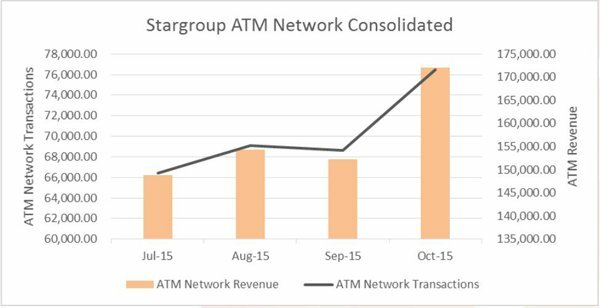 ATM player Stargroup Limited (ASX:STL) has had a record month, and has taken aim at its nearest competitor in the space by claiming STL has market-leading average monthly transactions. The tech play told the market today that it had delivered its eighth record quarter in a row, with transactions reaching 654 in the previous month per machine, which was an 8.64% increase on the previous month. In terms of raw number of transactions though, it had an 11.49% bump as it added more machines to its network. On the back of the recent strength, it has also bumped up its annual transaction forecast up from 1.8 million transactions to 2 million transactions. “The transactions on our ATM network were 11.49% up on the previous month which is a direct result of the ramp up of our ATM network as it begins to mature,” STL CEO Todd Zani said. Zani also took aim at nearest competitor in the space, DC Payments. “This figure [average transactions per machine] represents a significant premium to the average transactions per machine reported by industry leader DC Payments,” Zani said. He also said taking into account the recently announced acquisition of Cash Plus Australia and its 109 ATM machines, that its annual gross revenue could reach upwards of $5 million. Back in September STL merged with iCash Payment Systems to create a combined ATM and EFTPOS company. 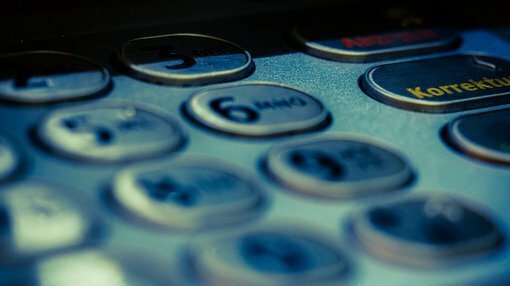 It has a network of ATMs around Australia, taking a clip on each transaction, but it also has longer term plans to get into the EFTPOS game, adding another source of revenue for the combined company. STL is also the only listed ATM company which has a direct stake in the manufacturer of its ATM machines, namely NeoICP in South Korea. It has estimated the stake helps reduce the costs of manufacturing machines by about 30%, saving $1.1 million in capital expenditure each year. It has also sought to diversify into other areas such as ‘cash recycler’ ATMs and PayWave Technology.